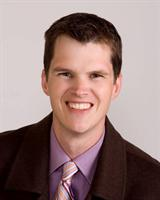 Directory > Providers > Doctor > ENT > TX > Mansfield > Luke Shellenberger, M.D. Luke Shellenberger, M.D. practices as an ENT in Mansfield, TX.He graduated from Baylor University and has been practicing since 2006. Services Luke Shellenberger, M.D. provides otolaryngology services in Mansfield, TX. Supper Doctor, he has worked on my ears aa few times, supper Doctor. They would never suggest that I buy something that wasn't necessary, and never pressured me. They were always very considerate and professional. The waiting area here is extremely spacious. There is never overcrowding and everything is spaced appropriately. They explained all the risks and benefits of my treatment options. Everything was explained in detail, all my questions were answered, and I felt a lot better about choosing a treatment plan. I didn't have to wait at all after I arrived for my appointment. They were running right on time, which is a really big deal for me. I have more than once recommended them to my friends and people I've met. They are the best of the best!